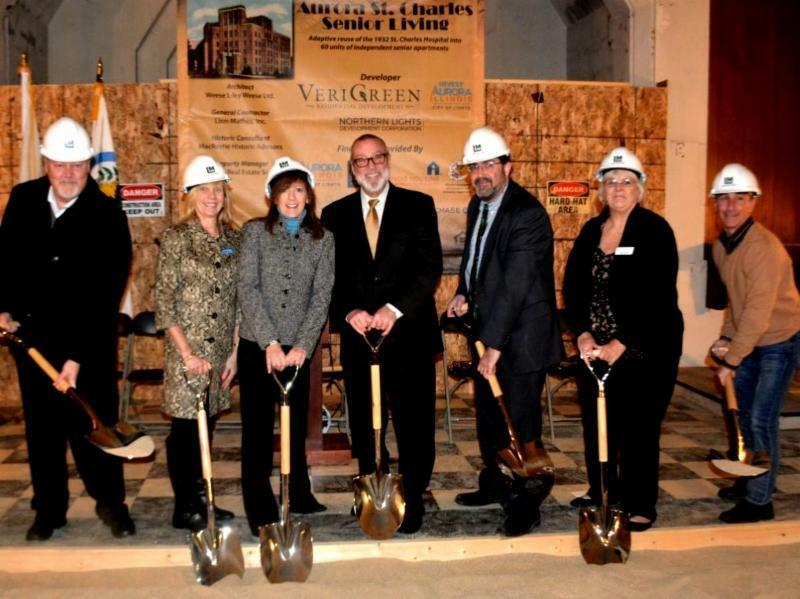 It was big news when developers broke ground on a $25 million renovation of the former St. Charles Hospital building in Aurora. The project includes $18 million in private funding, but could not have been done without federal and state historic tax credits and loans from the Illinois Housing Development Authority, and the city of Aurora, using the city's authority provided by another federal program. Aurora was one of the first cities to take advantage of the River Edge program, and was the first city to seek and receive an expansion of its original zone. It was that expansion that put the St. Charles property inside the zone. But the project in Aurora came to pass in large part because a respected, experienced developer like VeriGreen was in charge, and was able to convince people to push deadlines to make the development happen, city officials said. The time frame was tight because the River Edge Redevelopment Zone program is set to expire at the end of 2016, and despite widespread support in the river towns that can benefit from it, and even bipartisan support in Springfield, the future of the program and the ability to do more projects like the St. Charles one is in doubt. "Unfortunately, in this atmosphere, nothing's going anywhere," said state Sen. Linda Holmes, D-Aurora, who supported River Edge legislation the first time around and supports its reauthorization. "Even pieces of good legislation that would get bipartisan support are going nowhere." Holmes pointed out that the St. Charles Hospital success was "a perfect storm." And from all indications, the River Edge Redevelopment program has bipartisan support. Both Democrats and Republicans have signed onto SB 1642, which would reauthorize the program. From this area, Holmes has signed onto the bill, as has state Sen. Karen McConnaughay, R-St. Charles. All Aurora area legislators have said they would support the legislation. The extension bill would extend the program until January 2022. But the bill continues to stagnate. Introduced late last year, it made it out of the Assignments Committee to the Revenue Committee, and then was assigned to the Sub-Committee on Tax Credits. Because the calendar turned over, the bill landed back in Assignments at the beginning of this year. So, the bill has to be reassigned, probably back to the Revenue Committee. Holmes said she will try to do that as soon as possible. "The question is, how many projects will not get done because the of the deadline," she said. Read the full article at the Beacon-News here.